I took a glorious trip to North Georgia last weekend solely to pick apples! 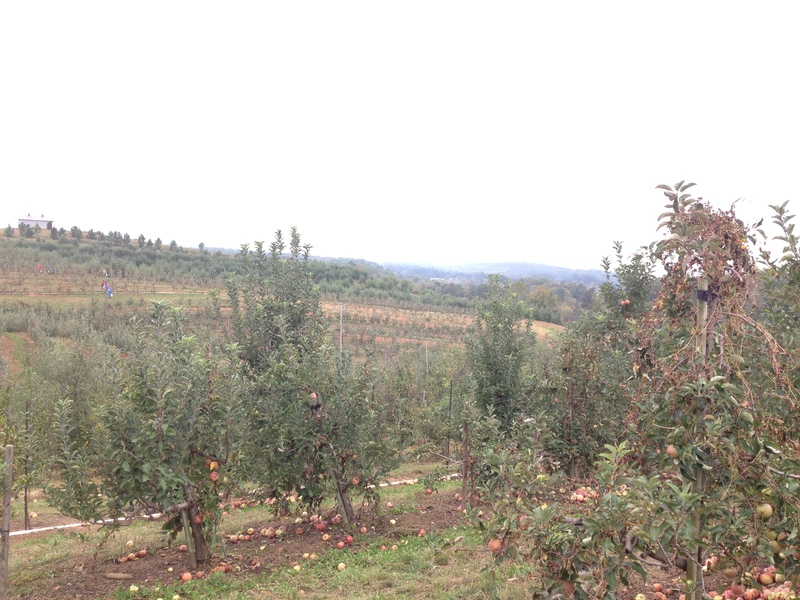 Tom & I drove to Blue Ridge and visited Mercier Orchards for a perfect fall day. If you know how much I love apples, you will know how excited I was to go pick my own! 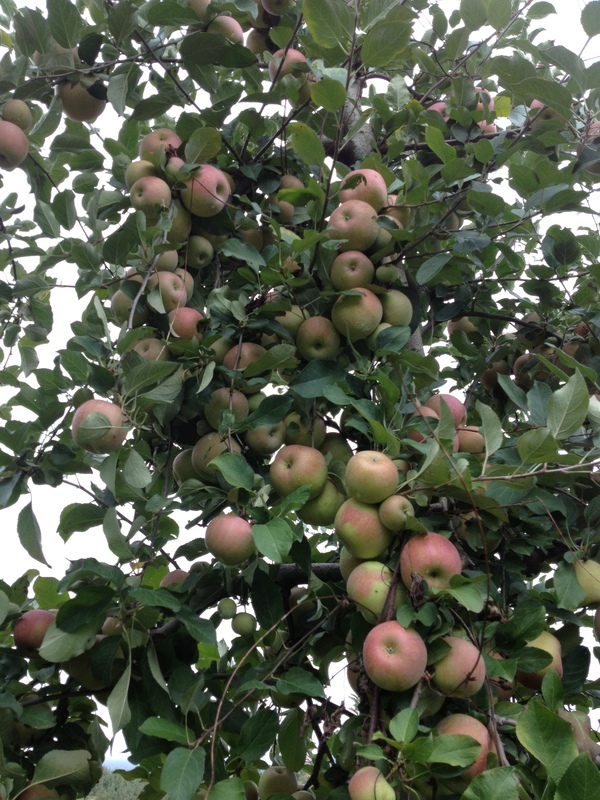 We picked bags of Fuji, Cameo, Golden Delicious, and Ambriosa, Mercier’s own apple breed. 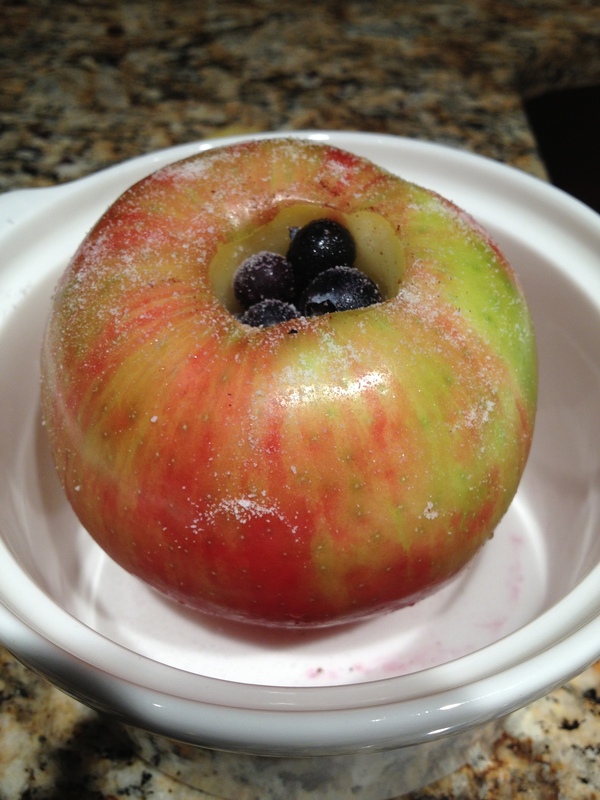 I decided to get crafty with my apple loot by making sweet, savory and warm baked apples. This recipe is killer, easy and perfect for a fall dessert. Pick a large, crisp apple. Honeycrisp, pink lady or fuji work great- they retain some of their crispness, whereas a gala or golden delicious would get far too mushy after it’s baked. 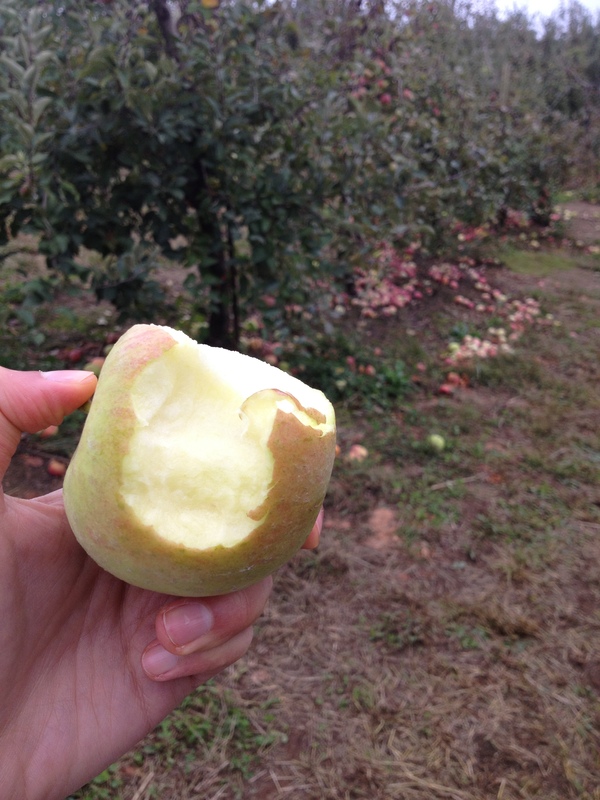 Core the apple but leave 1/4″ at the bottom- you don’t want to push the bottom out. 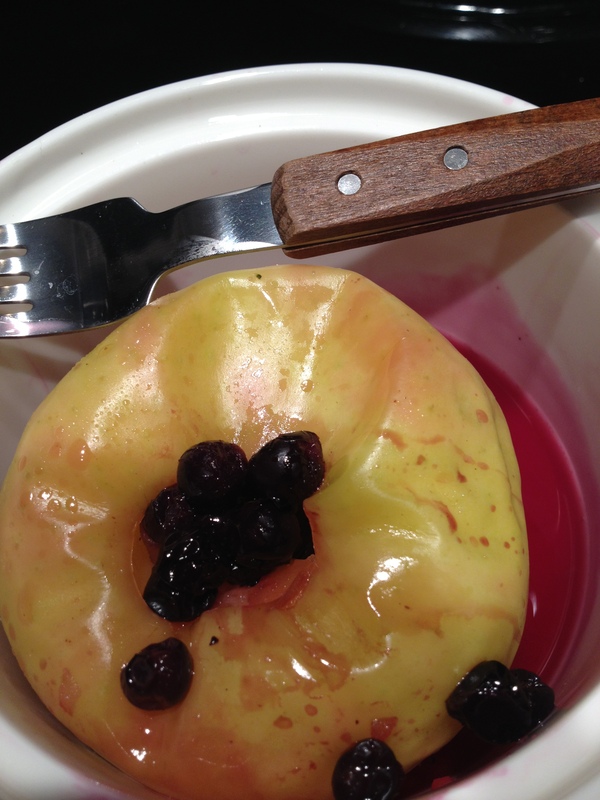 Place apple in microwave safe dish. 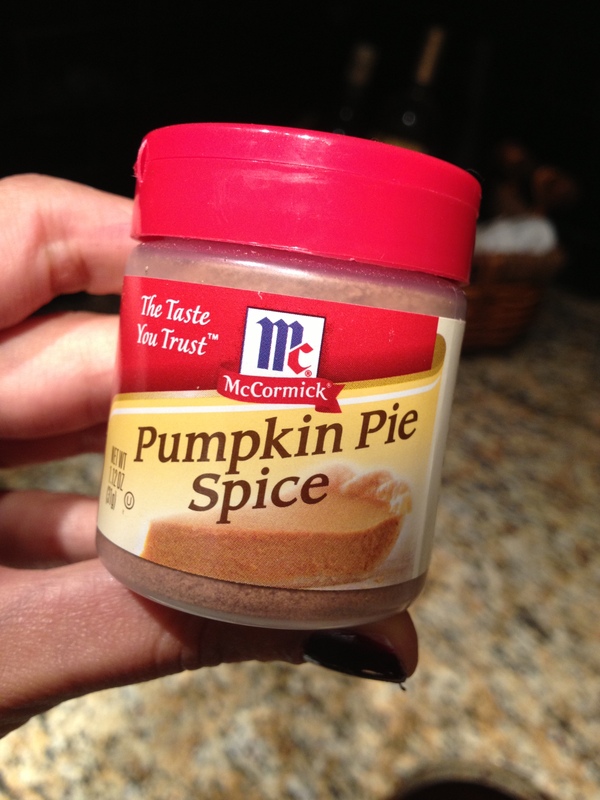 Sprinkle the center of the apple with a “fall-like” spice- I used pumpkin pie spice, but cinnamon would also be tasty. 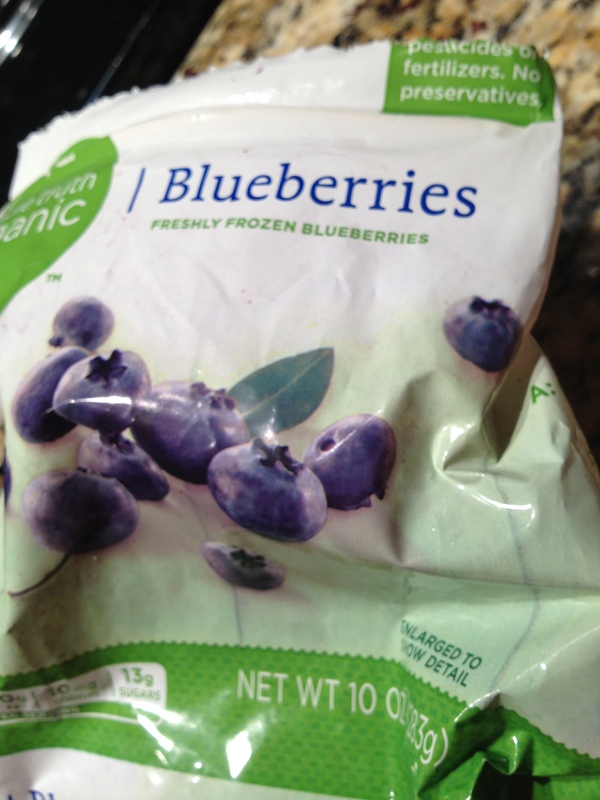 Add frozen blueberries into the center. They will bake up and taste like raisins! Top the filled up apple with your favorite sweetener. 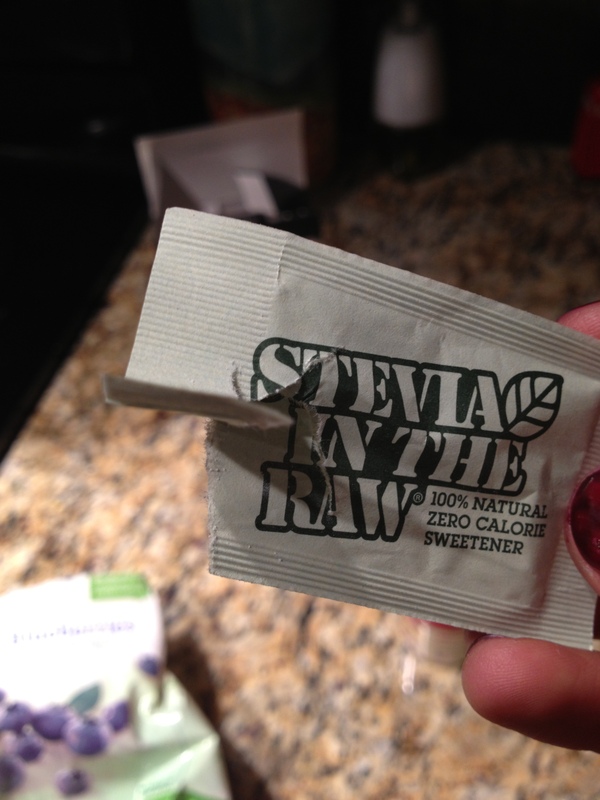 I used Stevia In The Raw, a zero calorie sugar. You can use agave sweetener, regular sugar or even honey?! Place a lid on the top of the dish and microwave 5-7 minutes. Keep an eye on it, mine finished around 5 minutes, but time may vary based on microwave. And that’s it! Oh, and here are some fun pictures from Mercier and the trees we picked from! I have become a crafting machine! I recently moved into a new apartment and have been doing so many little DIY projects. Not just because it’s a cheaper way to decorate, but I feel so much more accomplished after making something than just buying it. My most recent creation is a burlap pin board, (not) ironically inspired via Pinterest. I transformed an old, plain pin board into a decorative, focal point for my bedroom. All I used was burlap, a staple gun, and decorative tacks! 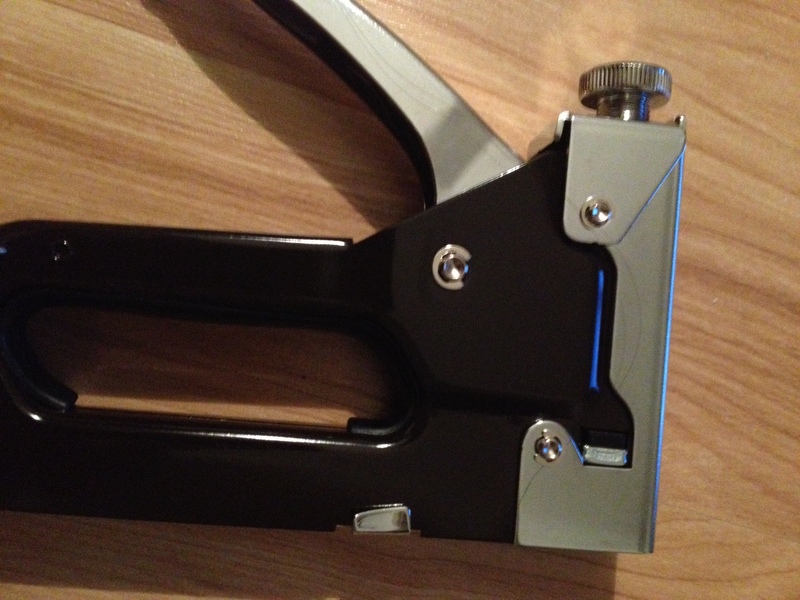 And yes, I now own a staple gun. One of the best purchases I’ve made. 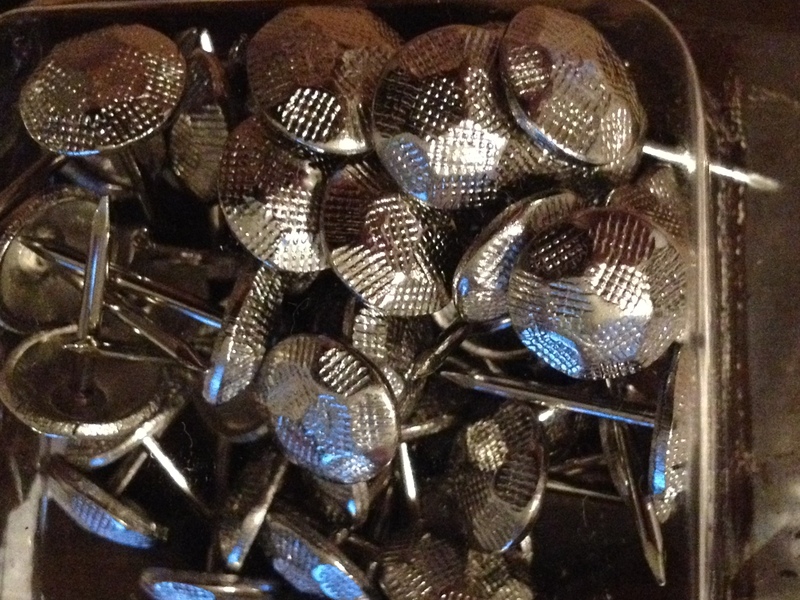 Bring on the Pinterest projects! Cut a large piece of burlap, sized to your pin board. 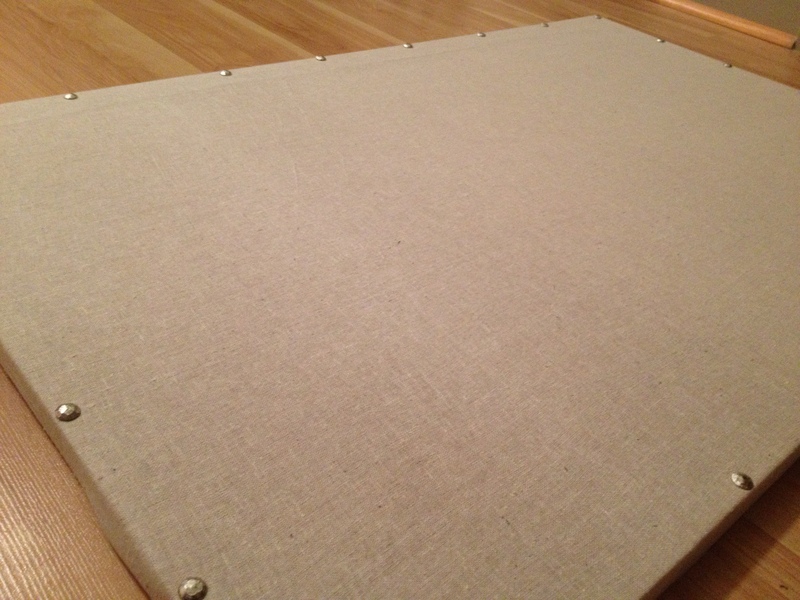 Place your pin board, face down, on top of the burlap and pull the edges tight. 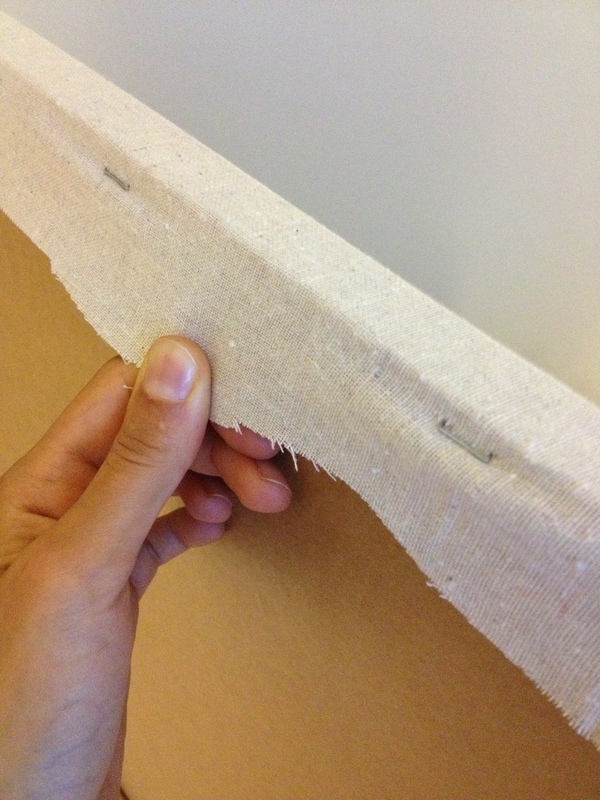 Staple the fabric into the edge of the board. Be sure you’re pulling tight! If you don’t the fabric will sag in the front. Once you’ve stapled all the way around you can get creative with how you want to decorate the front. 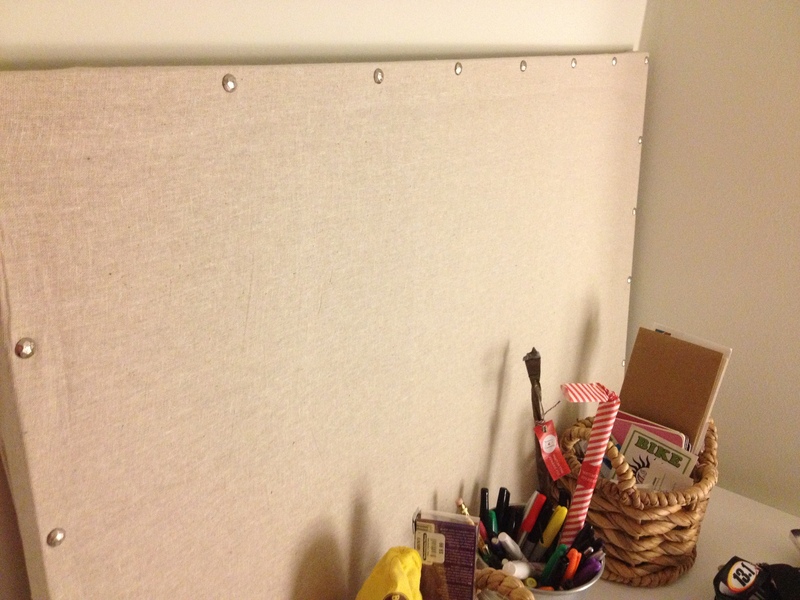 I used decorative tacks and hammered them around the frame of the board. You can use ribbon or fancy string to create slips for papers and pictures. 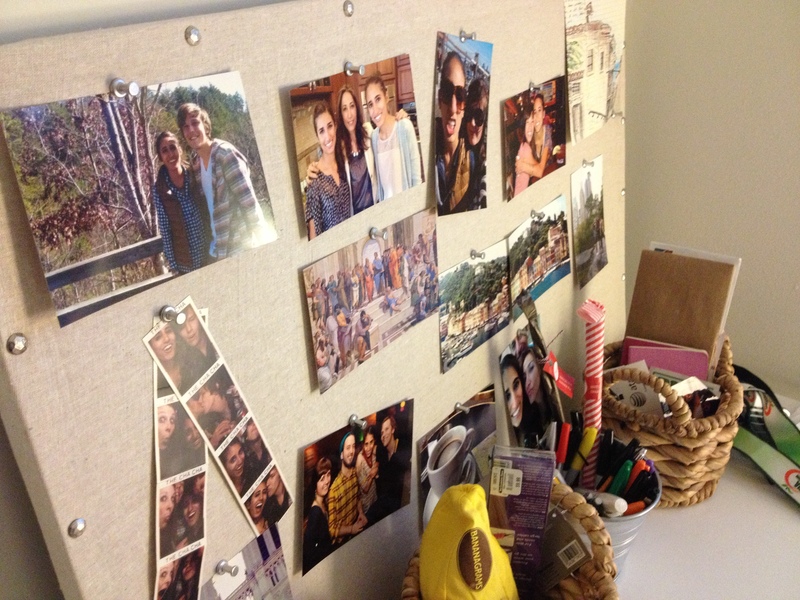 I used silver thumbtacks for pictures of friends and travels, it’s most definitely still a work in progress!